He was born in Norfolk as the Great War began, and he died in Cambridgeshire at 94. He looked like someone content with English country life, a slender, bright-eyed man, handsome when young, and modest, decent, and amiable as he grew older. He had an honest humility not common in the movie business. Even in the technical pursuits or the laboring jobs, movie people like to think they own their worlds. The limo drivers have a catalogue of famous people they have driven, and the scandalous stories they have heard confessed. 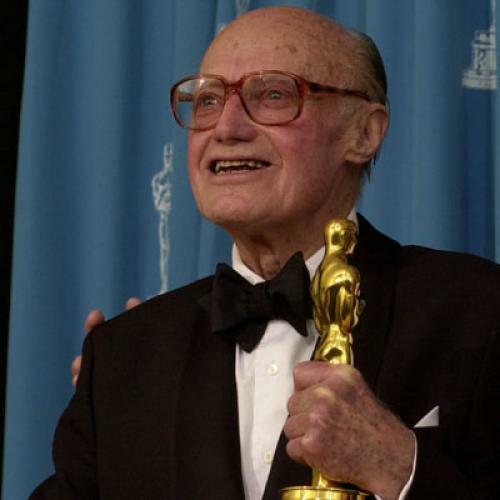 Jack Cardiff was a master at what he did—he is the only cinematographer to have been given an honorary Oscar for lifetime achievement. Yet he told me once that Michael Powell, the director for whom he did his most famous work, was such an imperious tyrant that he could reduce grown men to tears. Cardiff included! Yet Jack had had the genius to respond to Michael’s urging that A Matter of Life and Death (1946) needed a shot of the English sea shore as if emerging from a dream, by simply breathing on his own lens and then filming as the mist evaporated. Such visions emerge in the documentary film, Cameraman: The Life and Work of Jack Cardiff, directed and lovingly assembled by Craig McCall, and now playing at enterprising theatres. These days, there are plenty of movies about movie-making (and not enough good movies, maybe). Some of them are routine publicity tools aimed at augmenting the DVD package. But Cameraman is much more rewarding. I think that comes from the warmth between McCall and Cardiff, and from the director’s realization that his subject is a rare human being, not just a kind man always intent on enlarging a picture or the shy fellow on the set beloved by the beautiful stars (because he touched their faces with a tenderness no lover could match), but because Jack Cardiff is crucially associated with a form that assisted in many of the great works of film art—Technicolor, a process that is barely understood today. Now, Cardiff had a long career. The son of traveling showmen, he became a child actor and then a camera operator. Around the late 1950s, his reputation was so great and his dramatic intelligence so clear that he was promoted to be a director. He did not photograph his own films (he was too unassuming), but one of them, Sons and Lovers, in black and white, got a nomination for Best Picture. I think that attention was generous, and I have to say that the films Cardiff directed are not remarkable. Equally, by the mid-1970s, he returned to cinematography—he shot Conan the Barbarian and Rambo: First Blood Part II, among others—without regaining his magical touch. His great era is the war years and the 1950s. Beyond the Powell-Pressburger films (A Matter of Life and Death, Black Narcissus, The Red Shoes), he did Under Capricorn, for Hitchcock, the second and the more interesting of the director’s long-take experiments, begun on Rope; Pandora and the Flying Dutchman—the lushest romancing of Ava Gardner’s life (all right, I’m guessing); The African Queen, really shot on location, with a tiny generator and only two lamps; The Barefoot Contessa; War and Peace (with Henry Fonda and Audrey Hepburn, and a neglected film); and The Vikings, a bold evocation of rain-washed Nordic light. Technicolor had begun in America in 1935, but it’s fair to say that the deeply romantic, theatrical, and painterly nature of the process was never more fully embraced than in Britain in those post-war years when austerity ruled in most things. It was a process that involved three separate film strips, a camera the size of a wardrobe, and elaborate printing schemes that required exceptional craftsmanship at the printing baths from men whose arms were tattooed in fantastic colors. McCall’s film is wonderfully generous with its extracts, never more so than with Black Narcissus. This is a tricky film to judge now, in part because I don’t think Powell or his regular writer-producer, Emeric Pressburger, were very much interested in religion. And this is a story about a community of nuns in Tibet! The crew was excited by the idea, especially if it meant getting away from England and going to the Himalayas. Oh, no, said Powell, we’ll do it all in the studio. What obsessed him far more than religion was the challenge to build sets, to paint on glass for perspectives, and to use color in a way that made the viewer believe the production had gone to Tibet. It was artifice that moved him; plus the notion of wondering about the sexual dreams of nuns, shrouded in ivory—yet eager to use crimson lipstick. With Alfred Junge as its production designer and Jack as cinematographer, Black Narcissus is one of the most ravishing films ever made (Cardiff won the Oscar for color photography). There are moments when the viewer is bound to ask, well, isn’t this just beauty or cinema for its own sake? But there must be young generations who have never experienced this use of color, movement, and melodrama. For a simple reason—a little more than ten years after Black Narcissus and The Red Shoes, the world abandoned Technicolor for cooler processes, cheaper and supposedly truer to life. As if Powell and company hadn’t always preferred the imagination. That’s the real question behind Cameraman. Among its illustrious cast of witnesses to Cardiff’s’s career is Martin Scorsese (shot as if Jack and Michael had directed the interview). That’s entirely proper, in that Scorsese was a magnificent friend to Powell in his last years and an unmatched believer in the Powell/Cardiff approach. So don’t miss the wistful moment when Scorsese acknowledges how Technicolor, black and white, and photography itself have been brushed aside by digitalization. He can hardly rebuke the system he works in now, but he knows—and this documentary makes clear—that a glory was folded up and put away. And it’s not coming back.